How do I customize the Calendar display? Sakai Guides and DocumentationSakai Complete User Guide CalendarHow do I customize my Calendar display? 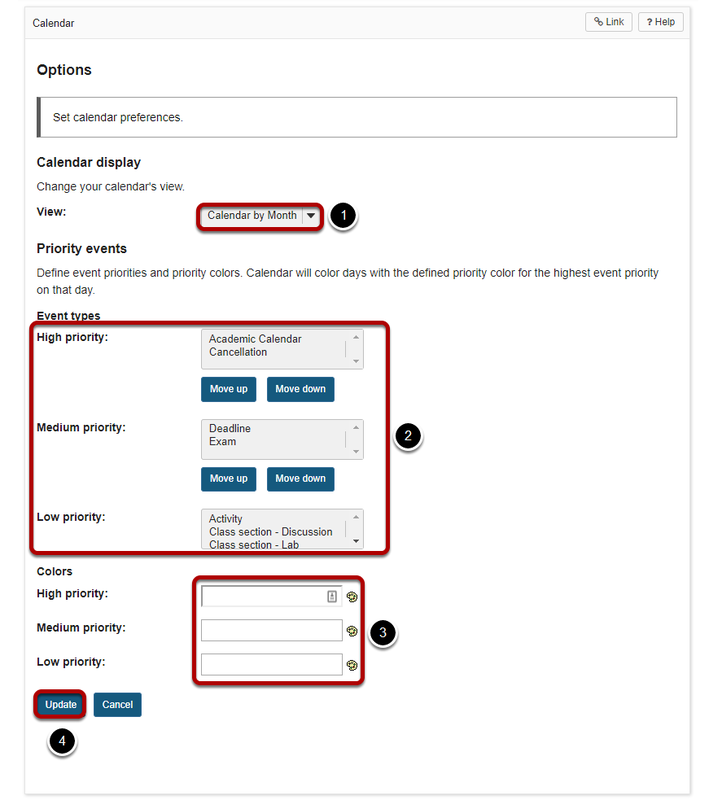 The Calendar tool can be customized according to your individual display preferences. To modify the display , select the Options button. 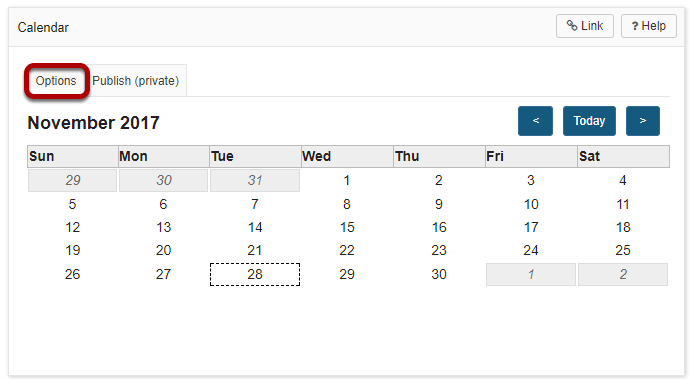 The drop-down menu under Calendar Display allows you to select your default view by Month or by Day. You may define High, Medium, or Low priority for items on the Calendar. This will change the color of the item as it is displayed on your Calendar. Click on an item type in the list and select the Move Up or Move Down buttons to change the priority level of that item. You may also specify custom colors for different priority levels. You may indicate the color by typing in a numerical Hex color value, or by clicking on the color palate icon to bring up a selection of web colors from which to choose. Don't forget to click Update to save any changes. Prev: What is the Calendar tool? Next: How do I view calendar item details?